1.Prepare Rosemary-Lemon Syrup: In small saucepot, heat water, sugar and lemon zest to boiling over medium-high heat, stirring occasionally until sugar dissolves. Remove saucepot from heat; stir in rosemary sprig. Cover and let stand at room temperature 1 hour. Refrigerate syrup 1 hour or until chilled. 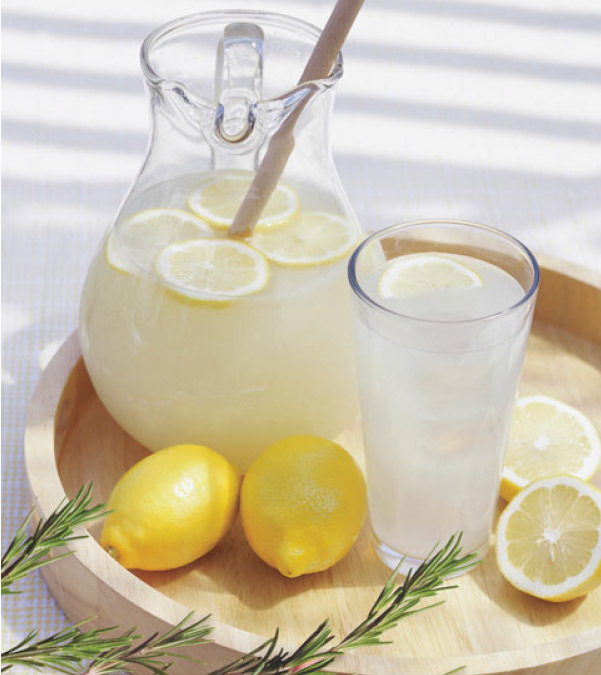 2.Prepare Lemonade: Strain rosemary mixture into large pitcher. Stir in cold water, ice and lemon juice. Serve lemonade in tall glasses over ice.